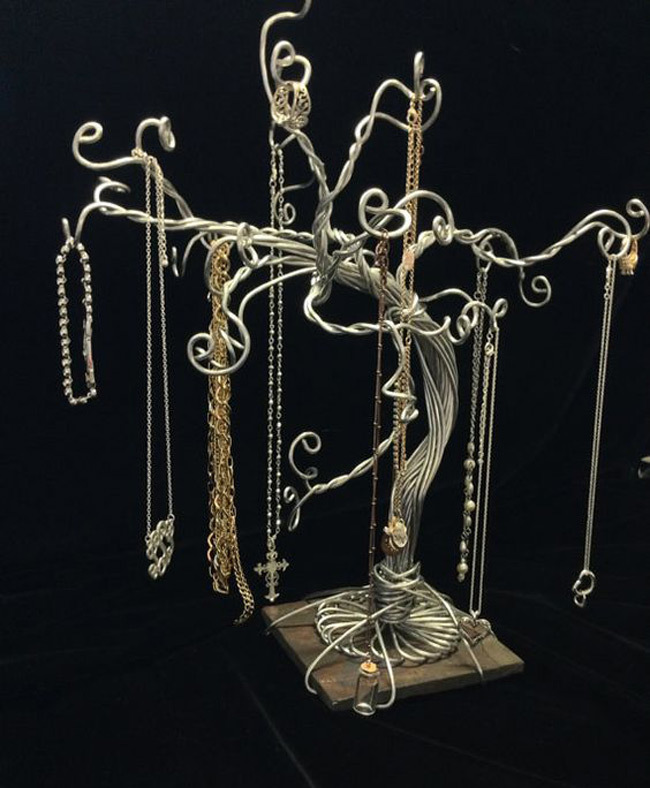 Our gallery of beautiful jewelry tree holders represent a completely unique and fashionable manner of jewelry display! They can easily accommodate entire collections of jewelry without a problem and they all feature gorgeous and astounding designs! They are beautifully elaborate, sporting interesting and fascinating patterns and motifs and they come in a variety of color, size, shape and purpose! They can have amazingly abstract shapes and designs or adorable little deer shapes! Their storing and display capacity is also very impressive as they can exhibit plenty jewelry items, which makes them even more suitable for the display of all sorts of jewelry in your retail shop! 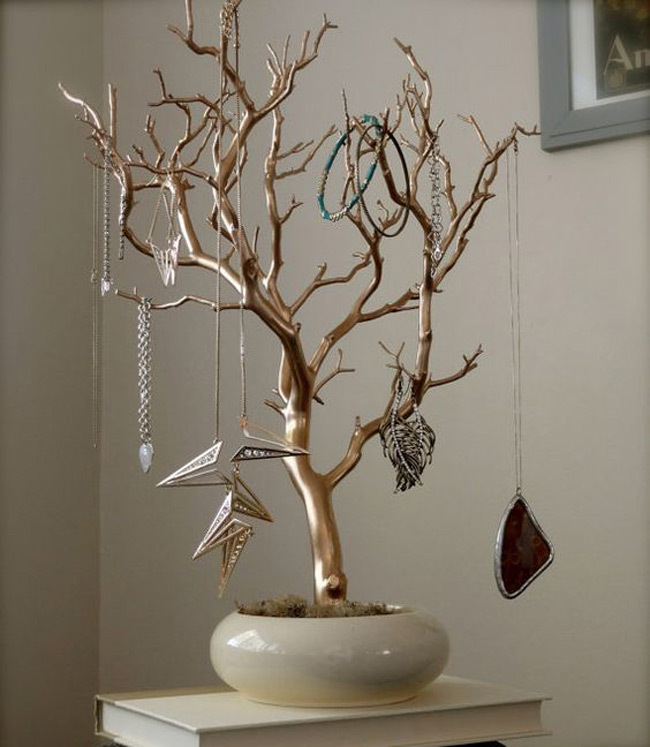 You can always check the Zen store for many more types of jewelry holders or go straight to our jewelry tree holders in the store if you’re not in the mood for scrolling through our recommendations. 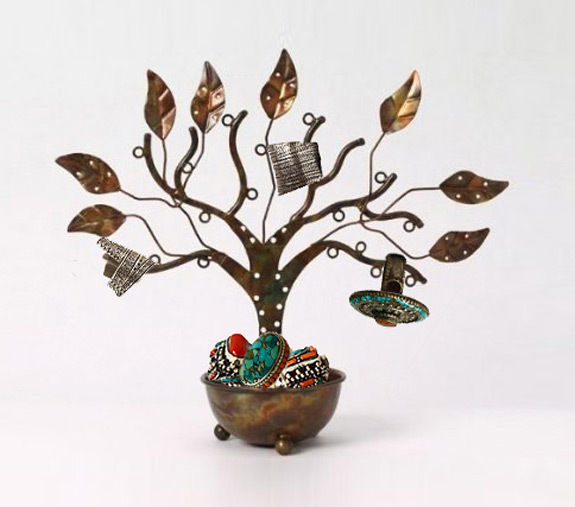 Elegantly carved and designed, this lovely metal tree holder is a gorgeous and attractive way of organizing your entire collection of jewelry and it will definitely be very popular amongst your clients! 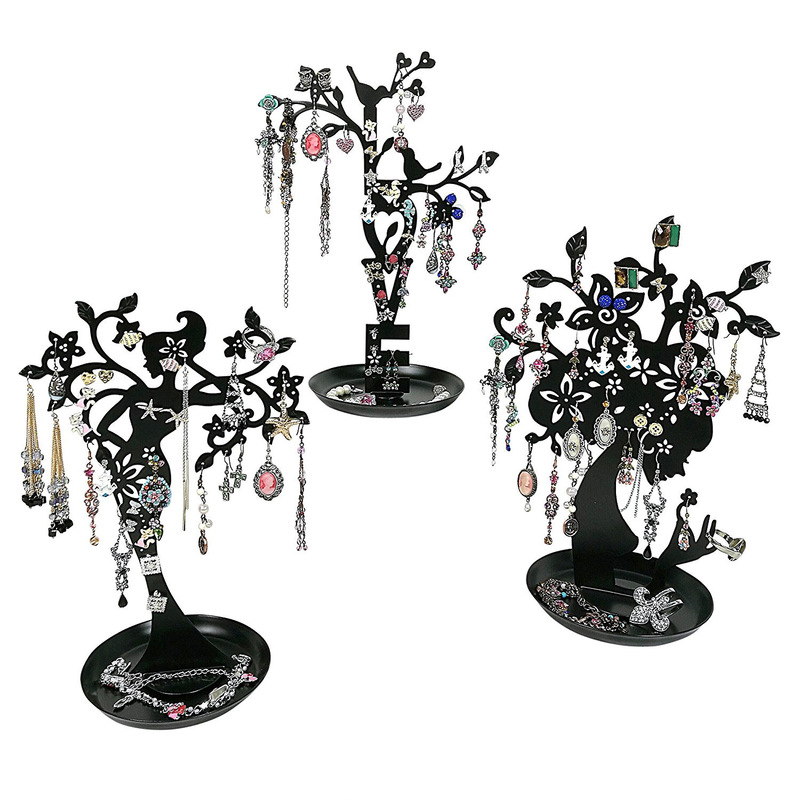 Classy and elegant, these three gorgeously shaped jewelry tree holders feature one of the most striking and attractive designs and they will undoubtedly display your jewelry in a totally new manner! 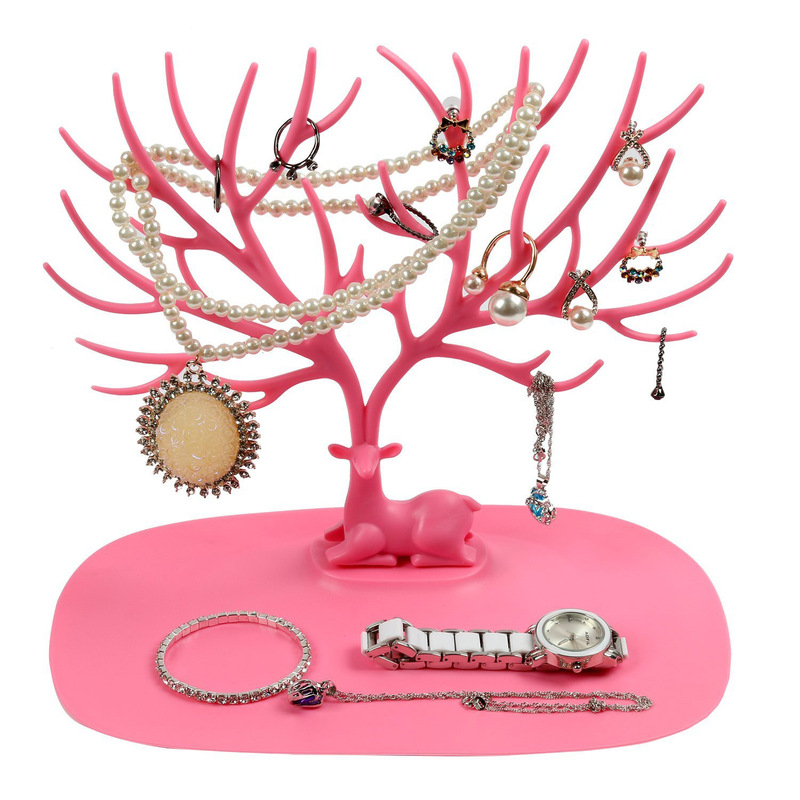 Bright and pink colored, this amazing and outstanding design features a lovely deer form that will elegantly display and arrange plenty of your collection of jewelry without a problem! 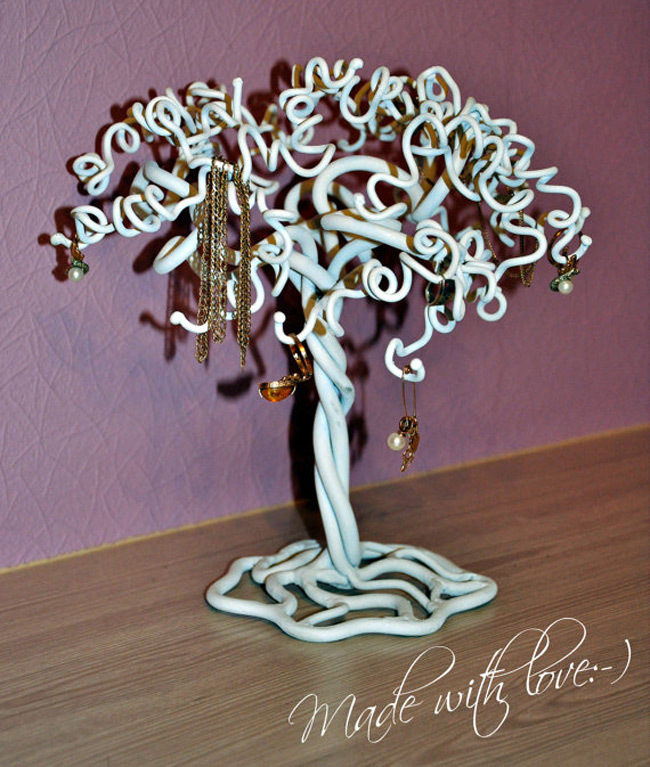 Unique and attractive, this interestingly shaped and designed tree holder will definitely catch anyone’s attention, therefore it is ideal for the display of jewelry products such as bracelets, rings and necklaces! 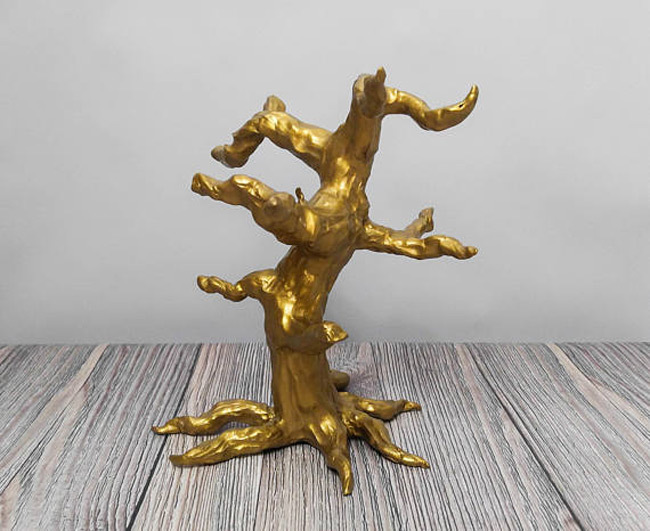 Beautiful, golden and richly colored, this strong and sturdy jewelry tree holder provides a safe and efficient display of your entire collection of jewelry amongst its rich and stunning look! Beautifully crafty and one of a kind, this handmade jewelry holder offers an interesting and unique alternative to the display and organizing of jewelry like bracelets, rings, earrings and necklaces! 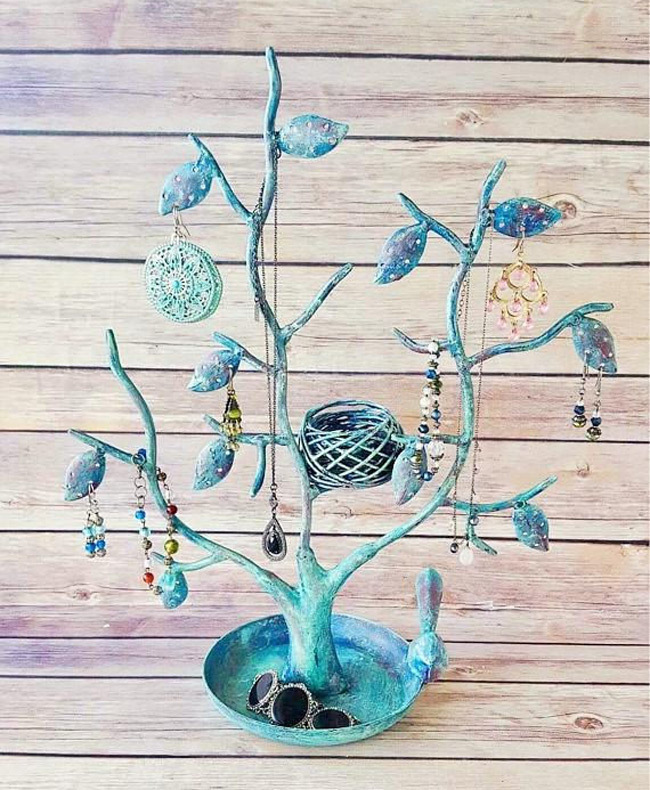 Lovely and beautifully colored, this bright and glossy jewelry tree holder is a truly gorgeous and attractive new way of organizing, storing and exhibiting your entire collection of jewelry! 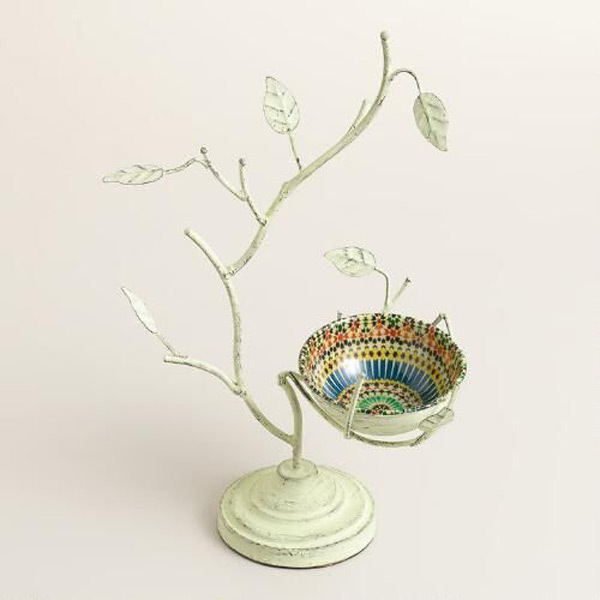 Delicate, beautiful and chic, a lovely and fancily crafted item of jewelry display, this tree holder is meant to accommodate and display plenty items from your collection of jewelry! 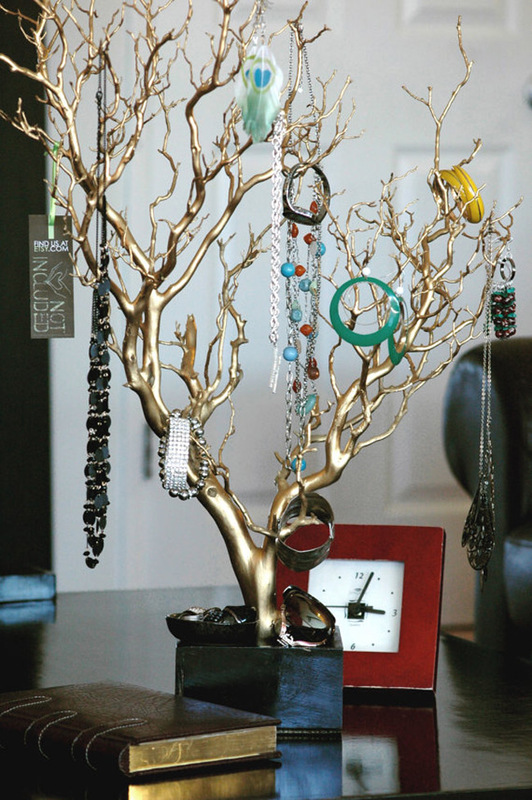 Original and highly fascinating, this shiny and glossy tree holder is a completely innovative and creative manner of displaying and arranging plenty of your jewelry items in your store! 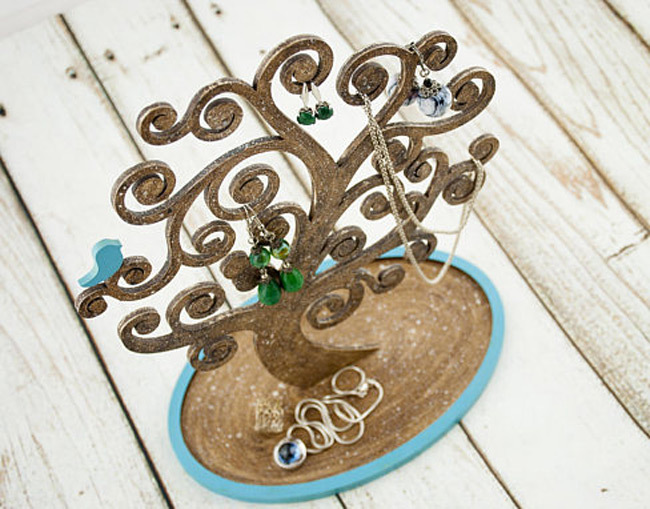 Chic, stylish and dainty, this lovely and adorable tree holder is created in order to provide an efficient, elegant and professional display of your rings, necklaces, bracelets and so on! 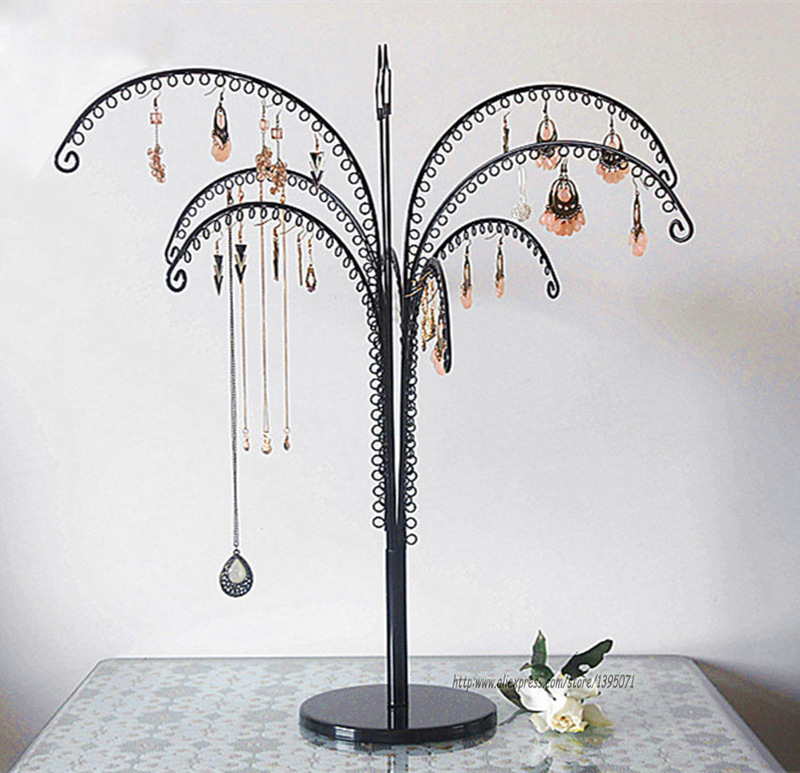 Gorgeously intricate and elaborate, this amazing and astounding jewelry tree holder has got an impressive and striking design that will undoubtedly create a long-lasting impression upon your customers! 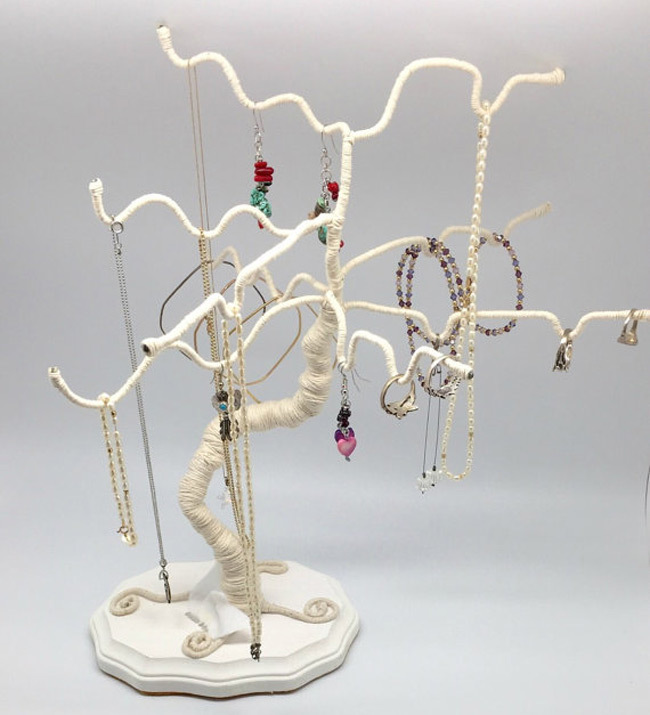 Crafty and authentic, this lovely and appealing jewelry tree holder features a beautiful design that is meant to accommodate your entire collection of necklaces, bracelets and many other jewelry pieces! 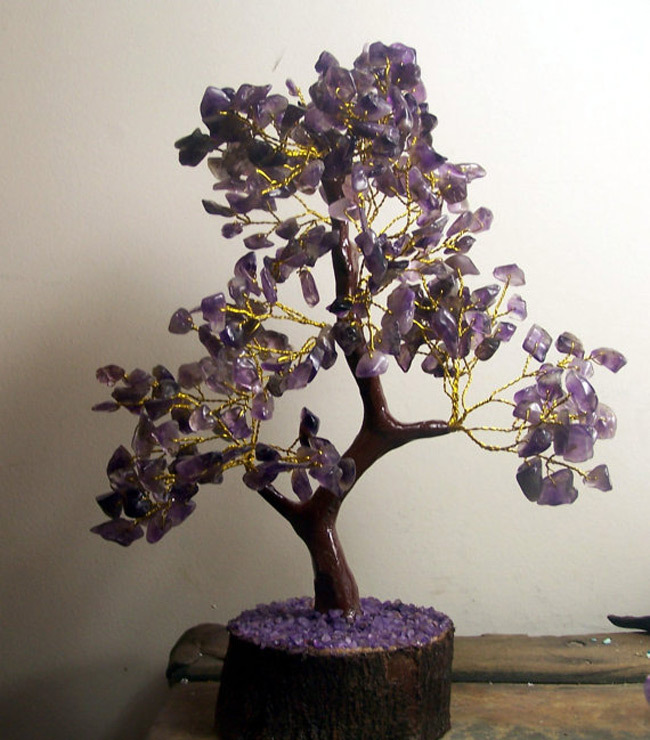 Brightly colored, this rhinestone adorned tree holder is sporting an amazing purple color that will only enhance the beauty of the jewelry collection that it is going to display! 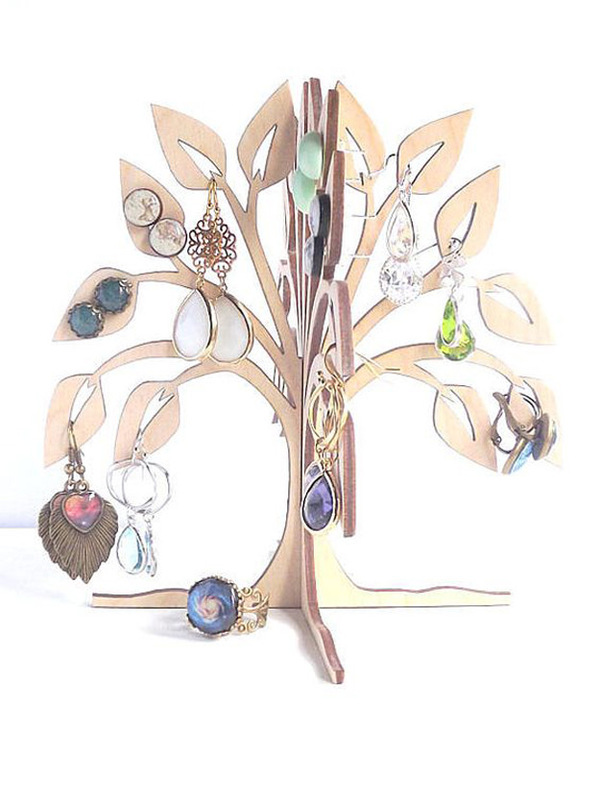 Modern and beautifully abstract, this tree holder features a new and futuristic like design and it can display and organize a large number of your jewelry like necklaces, bracelets, earrings! 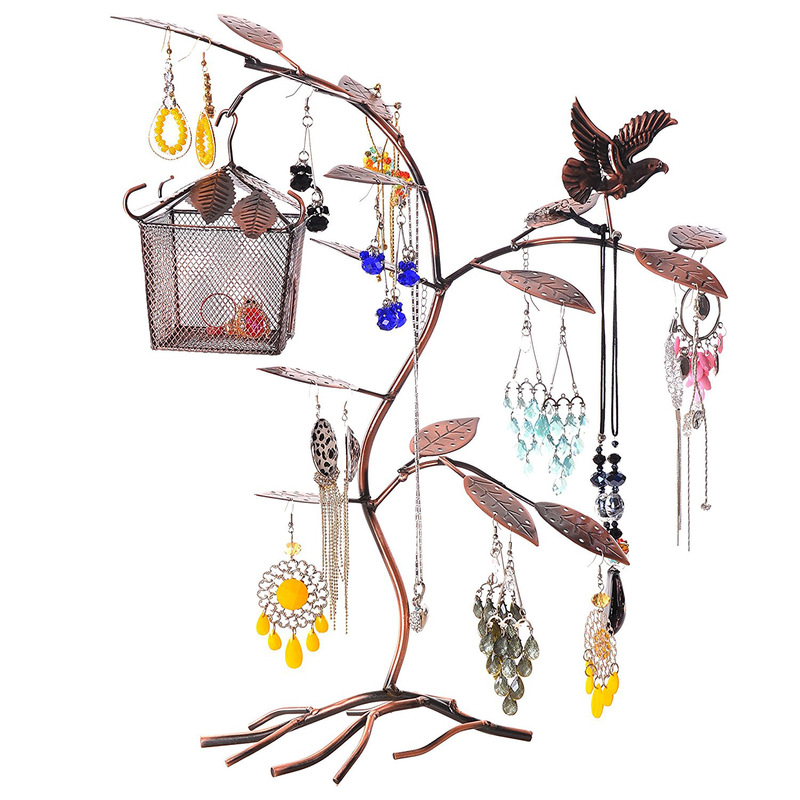 Stylish and delicate, this intricately designed jewelry holder is a beautiful tree with a myriad of fascinating branches that will organize and exhibit plenty of your jewelry products! The curves and spirals of this form make it an excellent holder for jewelry while the rustic material bring a special flair in the room which is placed. 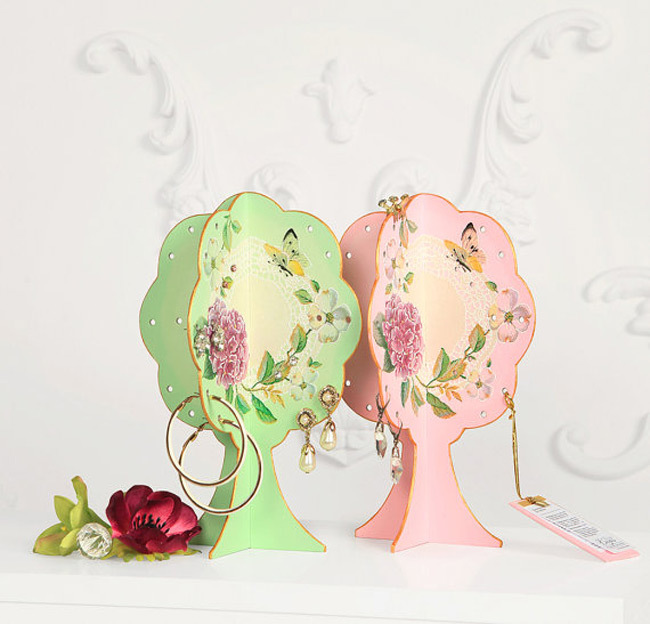 This one earring holder is a beautiful solution for keeping organized a lot of earrings pairs. It is made by hand on wooden base, painted with acrylic paints. 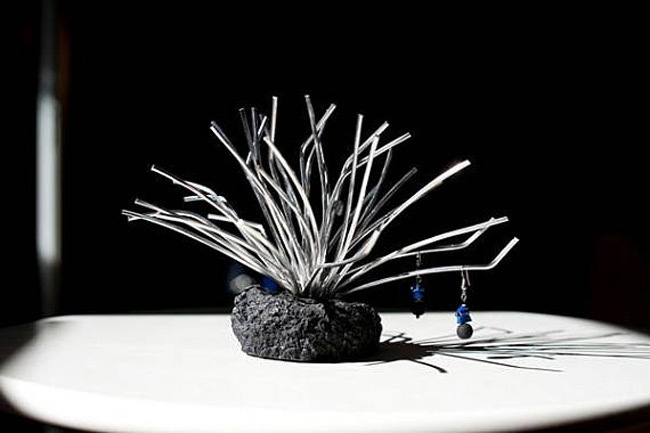 A perfect holder for everyone who appreciates beauty combined with practicality. A beautiful piece of artwork useful to organize your jewelry. Also the bird nest can hole rings and small earrings. 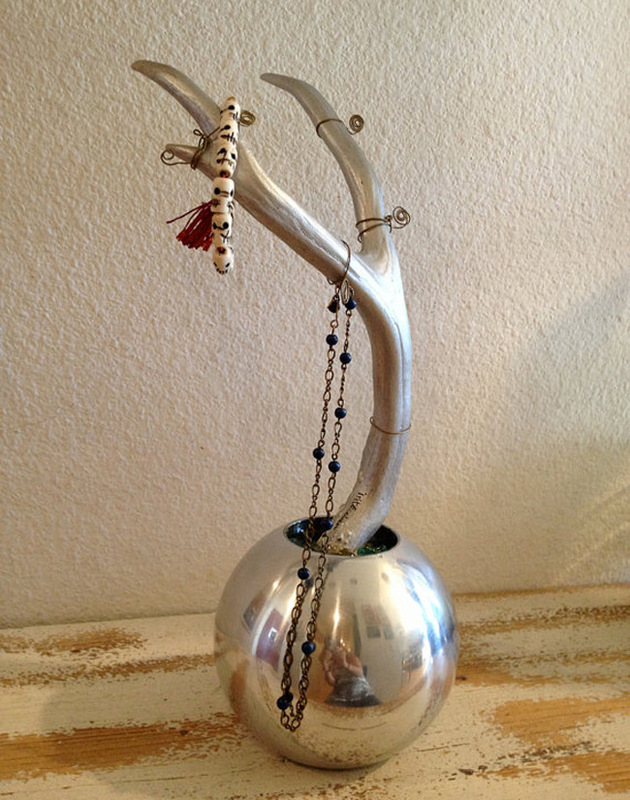 This stand denotes elegance and luxury and it’s a great way to show off your jewelry collection like royal families. 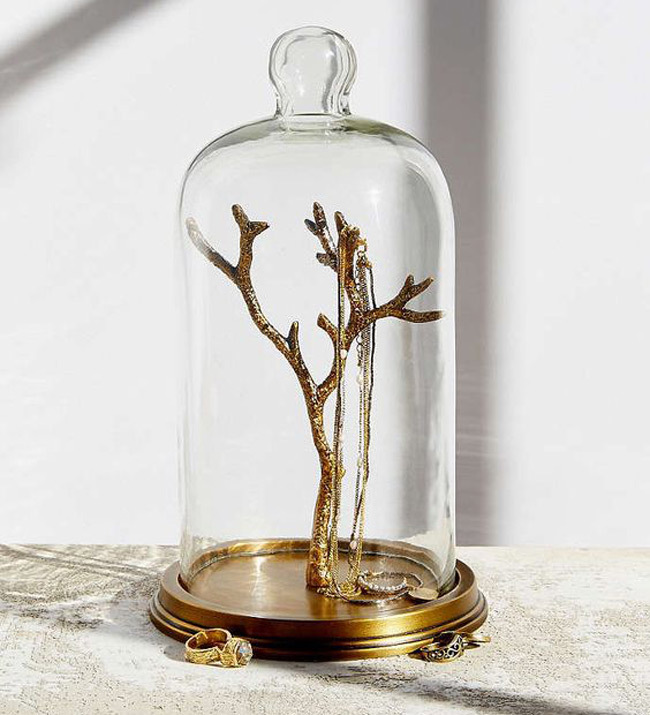 This Gold Jewelry Tree is placed inside a ball shaped white metal object, absolutely lovely. And the fact that is large indicate is made especially for long necklaces, so they can easily hang. This stand is made of natural layers of wood which are arranged in such a way that wood fibers are perpendicular to each other. Is beautiful, unique and very easy to assemble. 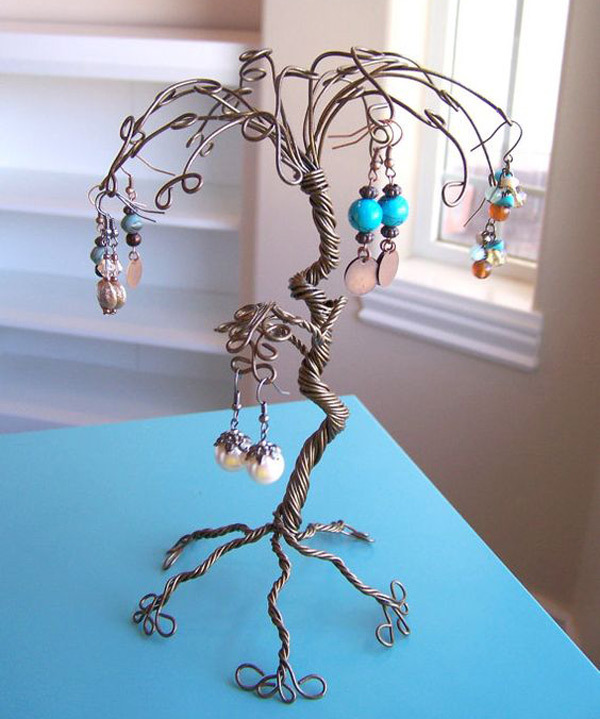 This pretty stand has loops for hook style earrings and the new modern design is a one of a kind wire art that deserves to be acquired. 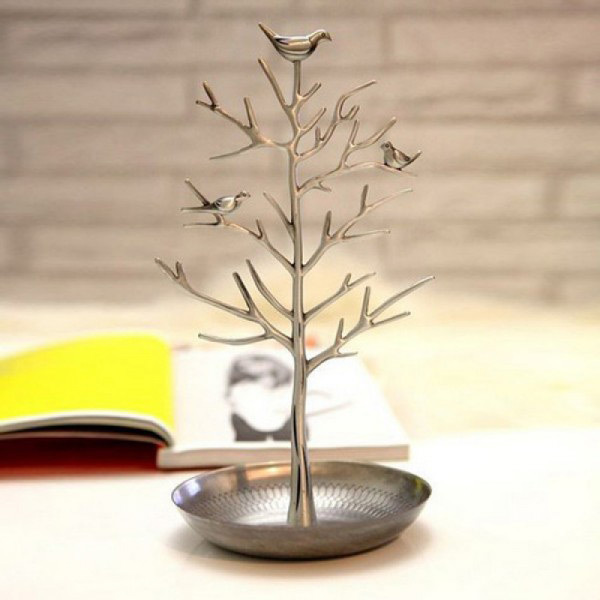 An elegant jewelry tree with beautiful silver birds perched on the branches. Something special of it is the dish at the base, ideal for rings and watches. 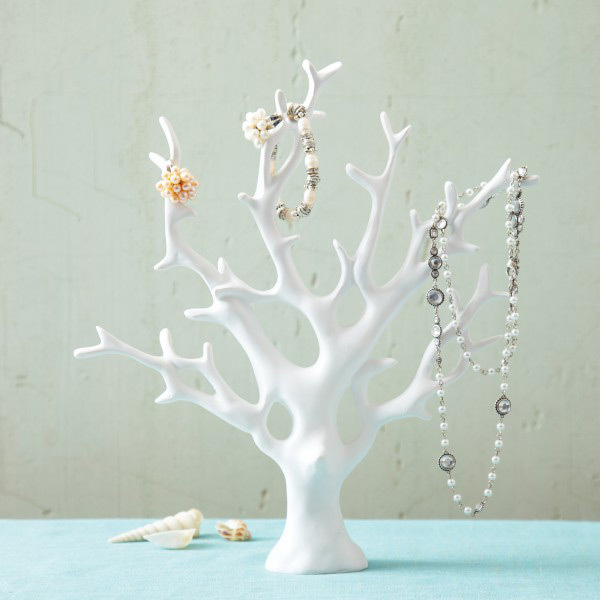 This Jewelry Stand is in the design in shape of a coral. 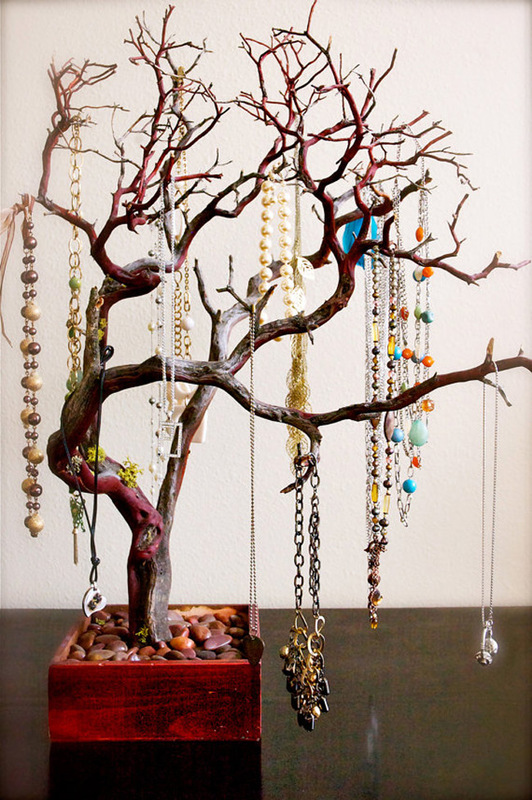 There you find plenty of hooks- branches- that allow you hang and store all kind of jewelry such as necklaces and bracelets. The nautical feel to this item would look great anywhere. 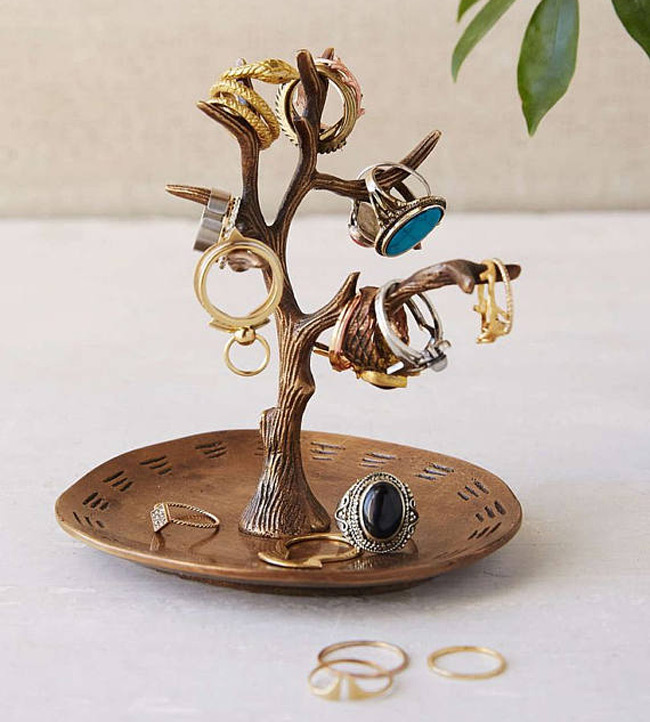 Very tender and romantic jewelry tree is designed for the storage of necklaces and but most important you can find buttonhole for earrings on the trunk and leaves of the tree.